Congratulations to Mimi Zollars, poet, author and friend of Stuff Writers Like, for having her debut book selected as one of Kirkus Reviews’ Best Books of 2015. 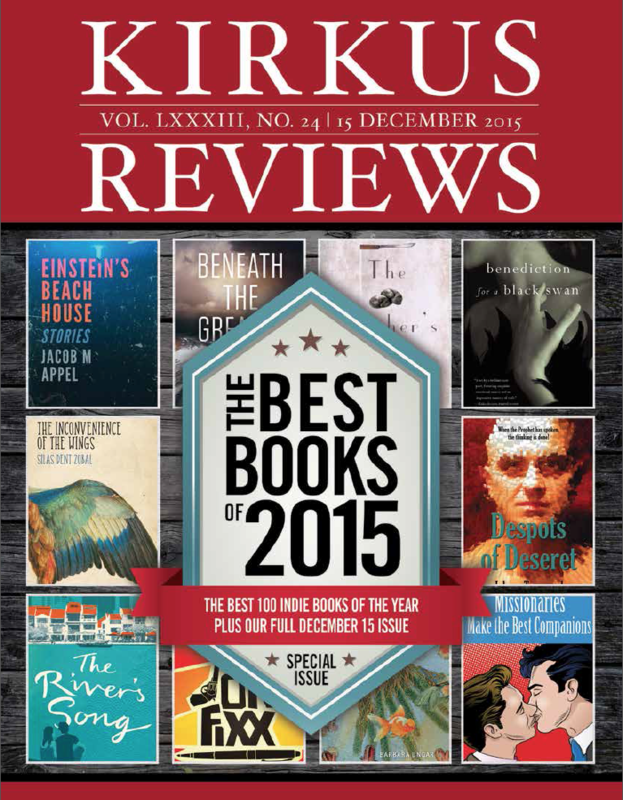 Kirkus Reviews not only chose Mimi’s Benediction for a Black Swan as one of its top 100 books of the year; the editors also chose it as one of the 12 books featured on the cover of the special “Best of 2015” edition, released Dec. 21. You can read the original review here. In September, we featured Mimi in our popular 20 Questions and a Selfie interview. It was one of our most shared interviews of the year. We have since gotten to know Mimi even better through the design of her new website, MimiZollars.com, built by our partners over at CopywriterFactory.com. Mimi was raised on both coasts of the United States and currently resides on a small island off the coast of Texas with her three children and beloved Frenchman. Raised in the Catholic church and the ballet, her ruthlessly romantic view of the world is not uninformed. Zollars attended the University of Washington, where she studied creative writing and dance. You can connect with Mimi on Twitter and Instagram. You can sign up to read her stuff for free at MimiZollars.com.